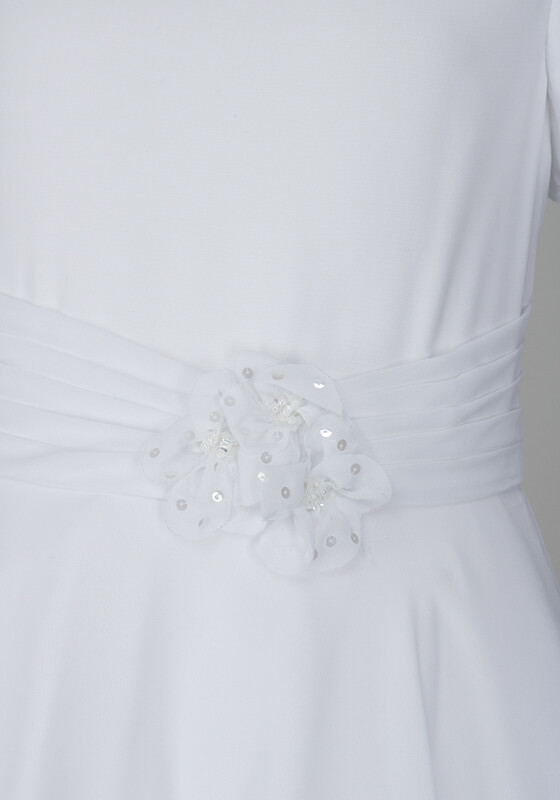 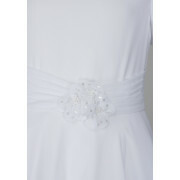 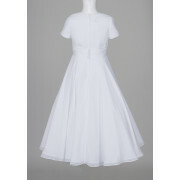 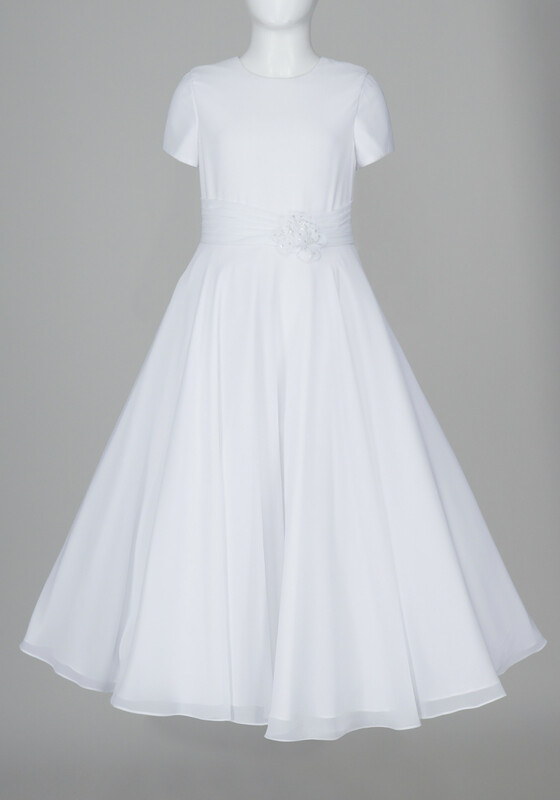 Your little angel will look and feel so pretty on her First Holy Communion in the Ameli dress by Devine gowns. 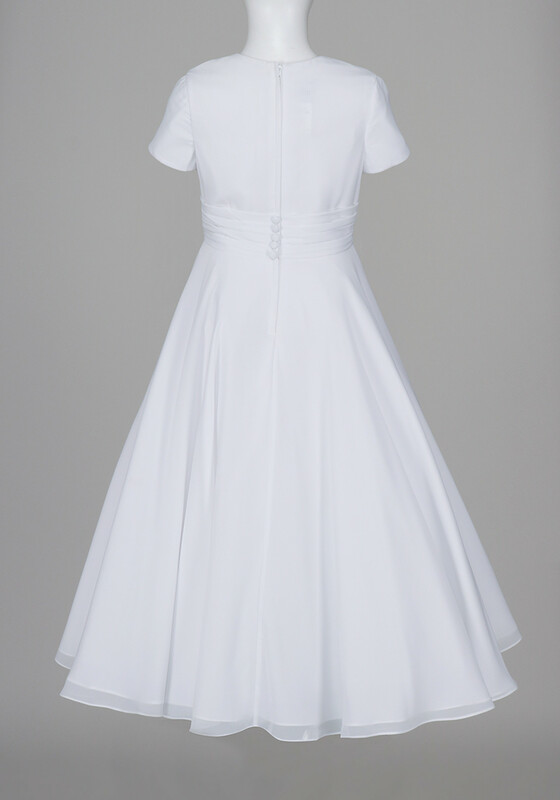 This chiffon gown features a pleated waist with an embellished flower and is styled with short sleeves and a concealed zip with elegant decorative buttons. 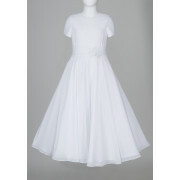 The net lining ensures a princess twirl.